Grumpy bears, curious mice, lost toasters—the world of children’s literature abounds with animals and objects that act like people. Giving “people” traits to things or animals is human nature—just eavesdrop on a child playing with a favorite toy, or a doting pet owner speaking for her pet. People love to pretend that non-humans think and talk and feel just like we do. Anthropomorphic characters are gender, age, and ethnicity neutral, allowing a child to project their own image on them. Anthropomorphic characters can be stand-ins for adults, allowing children to engage in grown up activities like living by themselves, driving, cooking, or throwing parties. Anthropomorphic characters can be stand-ins for children—behaving in exaggerated ways that real children could not. Watership Down by Richard Adams, Charlotte’s Web by E. B. White, The Case of the Purloined Professor by Judy Cox. First, decide how human to make your character. There is a spectrum of behavior to consider—will your characters be completely human? George and Martha in James Marshall’s series never behave like real hippos. Maybe you’ll want your characters to act more like animals, like the duck family in Make Way for Ducklings by Robert McCloskey. Mrs. And Mrs. Mallard have human feelings, but they always behave like ducks. Perhaps your characters will be somewhere in between, like Frederick and Ishbu, brother rats, in my Tails of Frederick and Ishbu series. My rats climb, jump, swim, and gnaw—like real rats–and I use these attributes, as well as animal behaviors like brushing whiskers, scratching, and marking territory, in all of their adventures. Unlike real animals, however, Frederick and Ishbu also talk to each other (although not to humans), and Frederick can read. Sometimes, the choice is up to the illustrator, not the author. Initially, I imagined Mouse (One is a Feast for Mouse) as a real mouse. The illustrator chose to dress him in a striped T-shirt and glasses—a brilliant move, by the way! Whether you choose to clothe your character or keep them au naturel, balance animal characteristics with people characteristics so you don’t end up with the dreaded “people in animal clothes” syndrome in which the animals do nothing animal-ish. Keep characters true to their animal nature—fish gotta swim, birds gotta fly! Besides curious mice, cuddly bunnies, and grumpy bears you can also play against type—a shy lion or an owl who isn’t as wise as he thinks. Your anthropomorphic characters must be as three dimensional as human characters. They need charm and personality, as well as a goal and a conflict. Avoid overdoing the cute factor. Too much sugar becomes cloying. Avoid alliterative names. They’ve been so overdone that they are clichéd. Avoid strange or unappealing beasts that children find repulsive. Avoid following the above guidelines too closely! Be thoughtful about inanimate objects. When I first started writing, I was given the advice to never use non-toy objects as main characters. The reasoning was that inanimate objects are not as innately appealing as animals or toys. That said, there have recently been a number of successful children’s books that feature objects—leaves, tableware, machines–as main characters, proving (once again) that rules are made to be broken! Whether toy, animal, or object, the only unbreakable rule is that your characters must appeal to readers, both children and adults. A main character must be someone the reader can identify with, someone the reader can root for through trial and tribulation. In the end, it’s the quality of the story and the writing that are important—traits that are true for any good children’s book. Judy Cox is the author of twenty-six award winning children’s books, including many with animal characters. In 2009, the first book in the Mouse series (Holiday House), One is a Feast for Mouse, won an Anne Izard Storytellers Choice Award. Her latest book is Sheep Won’t Sleep was released in 2018. For more about Judy and her books, check out her website at www.judycox.net. Thanks for this article. I often have anthropomorphic characters pop up, and this is a good reminder of what to look out for. 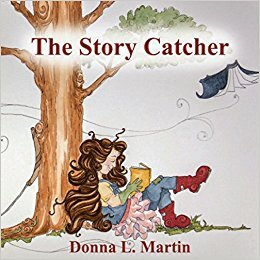 Hi David and welcome to the Story Catcher Publishing blog! I’m glad Judy’s post was helpful to you. Thanks for stopping by and come back any time!